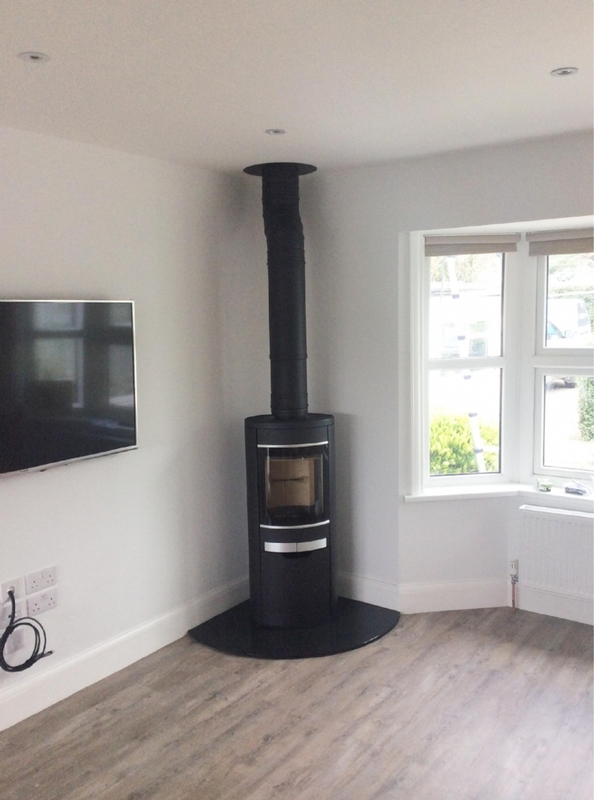 Scan 58 installed in Cornwall wood burning stove installation from Kernow Fires. 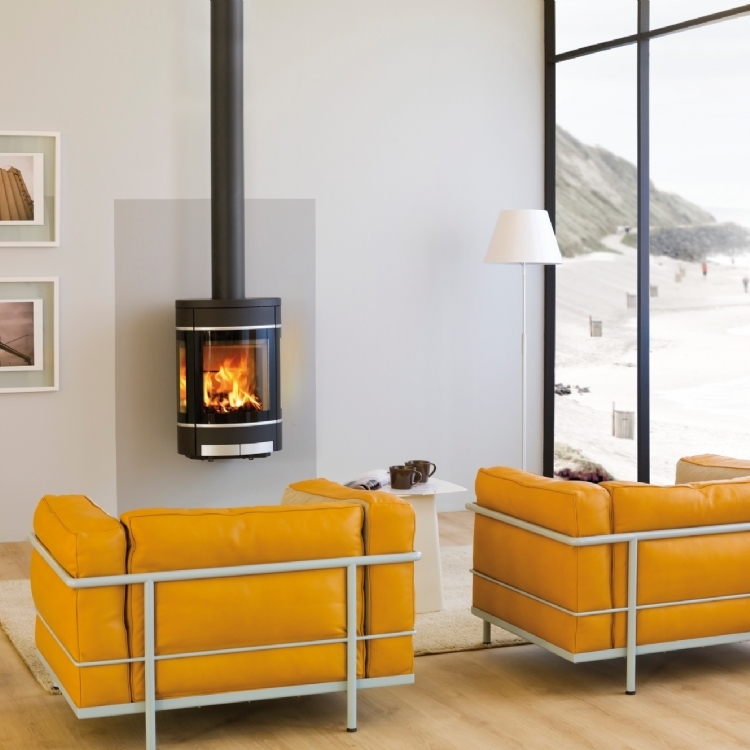 The scan 58 is a great stove to sit in the corner of the room thanks to it's oval form. Here we have made a tear drop hearth for the fire to sit on from honed slate.